Dimensions 1.25 by 5.25 by 7.25 in. After its first publication in book form in 1980, A Humument rapidly became a cult classic. This new fifth edition follows its predecessors by incorporating Phillipâs latest revisions and reworkings, and celebrates an artistic enterprise that is forty-five years old and still actively a work in progress. About: By blacking out passages and rearranging pages, British artist Tom Phillips turned an obscure Victorian novel into "the closest a paperback book has come to being an art object" (NEW YORK magazine). 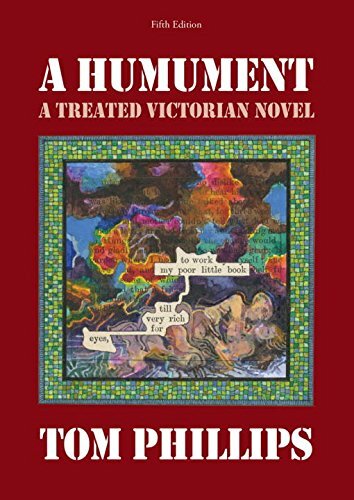 About: “A ‘treated Victorian novel’―treated with humor and poetry, and a feeling for the ‘ghosts of other possible stories’ lurking in the original text. About: In the mid-1960s, inspired by William Burroughs's "cut-up" writing technique, Tom Phillips bought an obscure Victorian novel for three penceW. About: First published on 1980, "A Humument" became a cult classic.